3. 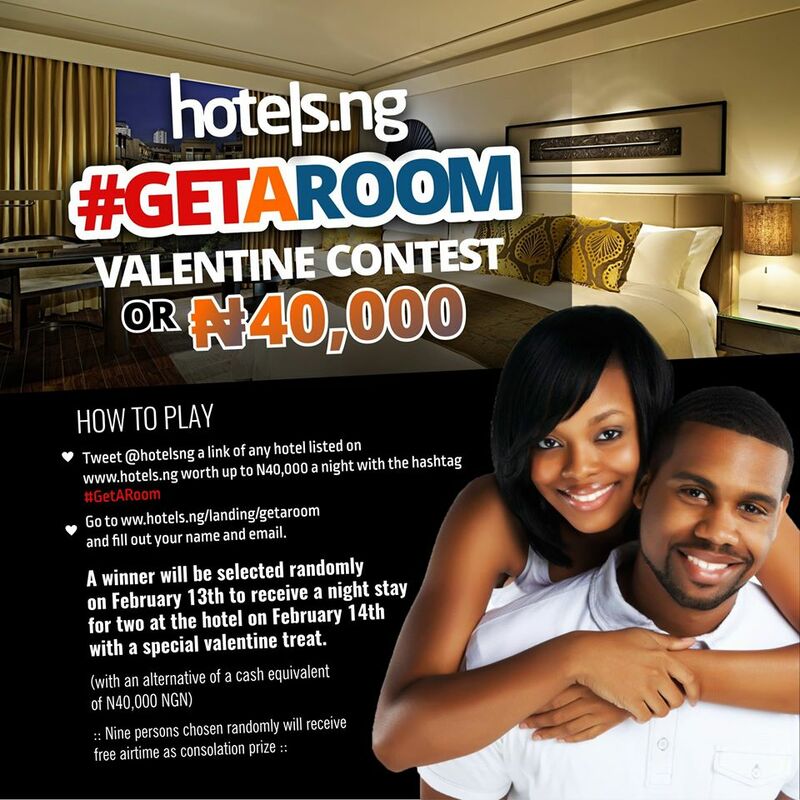 One lucky winner will be selected randomly on February 13th to receive a free night for two at the hotel or a cash equivalent of ₦40,000. 4. Ten people will receive free airtime as consolation. Contest Ends on 14th February, 2016.